The Amazon rainforest is the world's largest intact forest. It’s home to more than 24 million people in Brazil alone, including hundreds of thousands of Indigenous Peoples belonging to 180 different groups. There’s a reason the Amazon was the place that inspired scientists to coin the term “biodiversity.” The region is home to 10 percent of all plant and animal species known on Earth. There are approximately 40,000 species of plants and more than 400 mammals. Birds add almost 1,300, and the insects reach millions. In addition to its unparalleled diversity of life, the Amazon plays an essential role in helping to control the entire planet’s atmospheric carbon levels. The Amazon Basin stores approximately 100 billion metric tons of carbon, more than ten times the annual global emissions from fossil fuels. 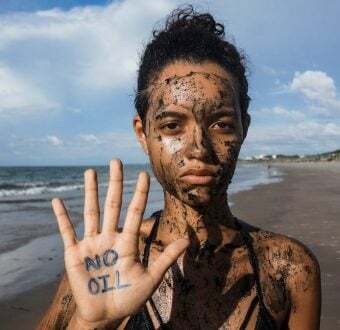 While it covers 2.6 million square miles across nine countries — Brazil, Bolivia, Peru, Colombia, Ecuador, Venezuela, Guyana, Suriname, and French Guiana — about 60 percent of the Amazon Basin is in Brazil, where Greenpeace has prioritized its Amazon work. In the last 40 years, the Brazilian Amazon lost more than 18 percent of its rainforest — an area about the size of California — to illegal logging, soy plantations, and cattle ranching. Most of the remaining forest is under threat, and with it the plants, animals, and people who depend on the forest to survive. Around the world, people like you have stepped up to achieve policy reform, additional protected areas, and commitments from corporations that have slowed the rate of deforestation. Still, forest areas the size of entire cities are cleared in the Brazilian Amazon every year and “burning season” fires have returned at record-breaking levels. The Tapajós River, a tributary of the Amazon, and the site of a recent battle over a megadam that threatened the lives of Indigenous peoples and the forest itself. 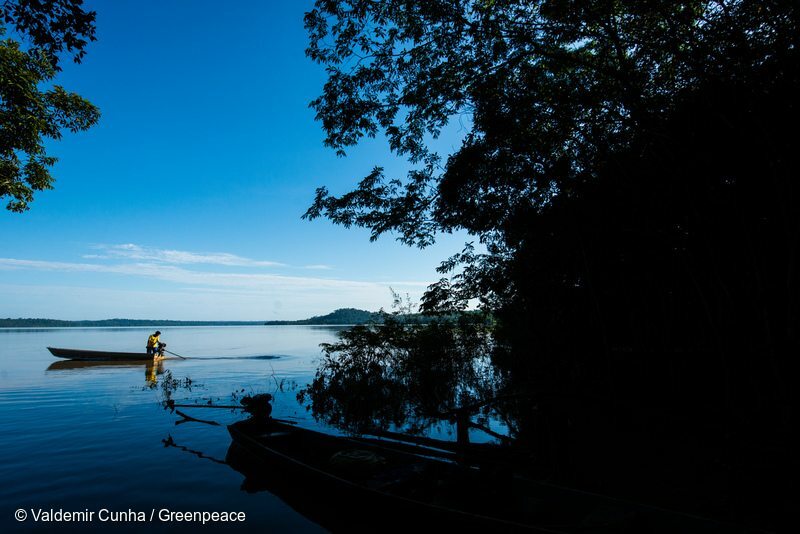 For one, the Amazon is on the frontlines of the fight against global warming. 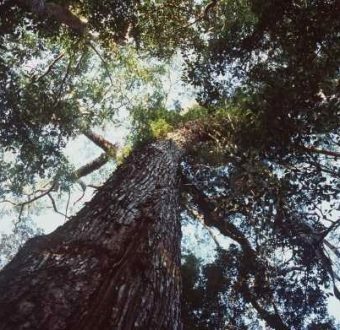 Currently, the Amazon is a carbon sink, meaning it stores carbon dioxide and prevents it from entering the atmosphere and fueling climate change. Deforestation, on the other hand, releases that carbon into the air, making global warming worse. Because of this, deforestation accounts for about 10 to 15 percent of global greenhouse gas emissions. Losing the Amazon means more carbon emissions and a warmer world. No matter how far from the region you live, the Amazon plays an important role in all of our lives, and we all play a role in protecting the homes of thousands of people and some of the world’s rarest wildlife. We work with local groups in the Amazon and people like you around the world to tackle the root causes of forest destruction in the Amazon: infrastructure, cattle, soy, and logging. When it comes to deforestation, these activities are closely linked. First, forested land is cleared for logging or infrastructure. Then, the cleared land is used for agriculture, most often cattle grazing. 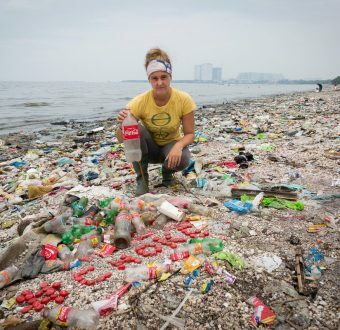 And your actions are getting real results, like the Soy Moratorium, which prevents huge swathes of forest from being destroyed for soybean farming; the Cattle Agreement, a commitment to avoid suppliers linked to deforestation from some of the largest Brazilian meatpackers; and stopping the construction of the São Luiz do Tapajos megadam. While these and other victories have slowed deforestation in the Amazon, there’s more work to be done. A slew of proposed infrastructure projects are on the table that threaten the livelihoods of Indigenous groups throughout the Amazon Basin and would destroy massive amounts of forest. Major companies like General Electric and Siemens stand to gain from such costly projects, while traditional forest communities across the Amazon have everything to lose. 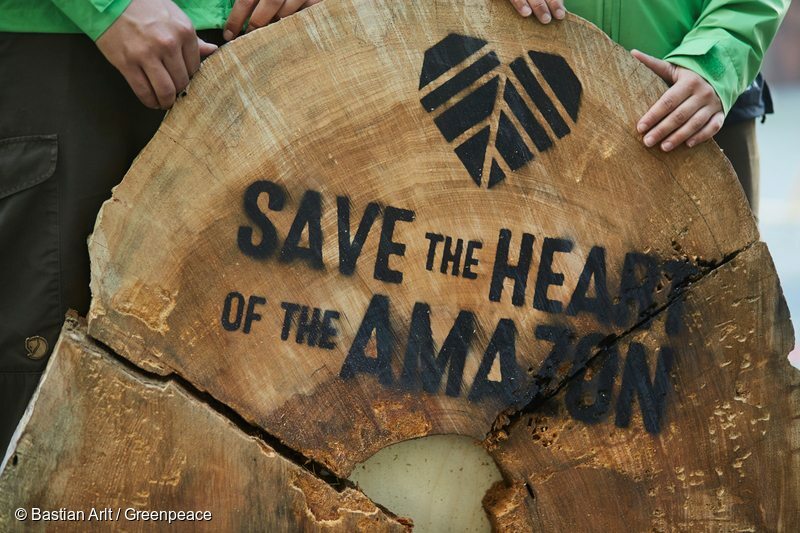 Stand with Indigenous peoples and protect the heart of the Amazon. Take action today! 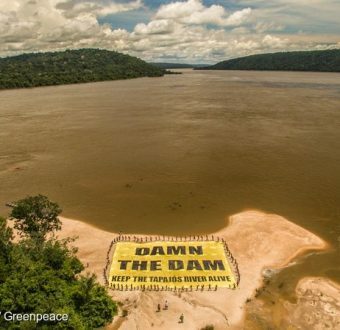 Greenpeace Brazil has published Damning the Amazon, a report profiling controversy surrounding the largest proposed megadam complex since the infamous Belo Monte. A two-year Greenpeace investigation has confirmed that logging in the Amazon is still out of control and often taking a predatory form.